Expanded text ads, the elimination of right-rail ads and the inclusion of a 4th text ad located at the top of desktop searches and customer match! Have you heard of these? If no, then these are just some major Google announcements that were made since the past year and those that caused huge reactions throughout the industry. Analysts have been wondering about how the aforementioned updates are setting an impact on brands and they were also trying their best to come up with the best practices according to the results. If one analyses the landscape of paid search, it is often noticed that the unannounced and silent updates have the biggest impact. The ETA or Expanded Text Ads format provides considerably more characters for the advertisers to work with as mentioned by Google and it has increased CTR 2 times for majority of the advertisers. When data is categorized properly, non-brand ads which lie at the top of the page notice no such difference in performance. ETAs at the top portion of the page had lower CTR than older format of ads. ETAs at the bottom of the page outperform standard text ads in CTR. This was deemed as the beginning of futuristic search targeting, this update provided advertisers with the ability to create audiences out of mail lists in order to adjust messaging and bidding for users when they search. Utilizing information about users in Customer Match visitors, like past order history, advertisers would be able to customize the ad experience to drive greater value from paid search. The share of orders is higher after this update but still small. 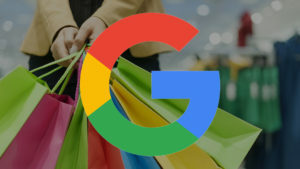 Google announced that advertisers will now be able to set bids for tablet devices and desktops separately, thereby letting go of the annoying features of Enhanced campaigns to date. But if you dig into what the real consequence on ad spend will be, it is actually quiet small. Most advertisers will quickly look forward to bid tablets as compared to desktop due to the very low rates of conversion on tablet. It is being seen that tablet paid search traffic is gradually declining. Therefore, research proves that the unannounced and silent updates have often had a far-reaching impact on the advertisers and how they set their campaign. Is it really worth bidding on the competition?